Holland America Line will return the Oosterdam and Volendam to Australia, New Zealand and the South Pacific for the 2013-14 season. The two ships will operate cruises of 10 to 14 days round-trip from Sydney, Australia, or between Sydney and Auckland, New Zealand, between October and March. The Oosterdam will sail four 14-day Australia and New Zealand cruises between Auckland and Sydney departing on Oct. 27, Nov. 10, Feb. 2 and Feb. 16. Featured ports of call include Melbourne, Australia; Hobart, Tasmania; Dunedin, Akaroa, Wellington, Napier, Gisborne and Christchurch, New Zealand; and scenic cruising at Fiordland National Park. Cruise fares begin at $1,599 per person, double occupancy. Three 14-day “New Zealand Discovery” round-trips from Sydney depart on Dec. 8, Jan. 19 and March 16. Port calls include Auckland, Christchurch, Dunedin, Akaroa, Gisborne, Milford Sound, Napier, Tauranga and the Bay of Islands. Cruise fares begin at $1,499. The Oosterdam’s 14-day “Pacific Treasures” round-trips from Sydney depart Nov. 24, Dec. 22, Jan. 5, March 2 and March 30. Those cruises feature lesser-known ports at the South Pacific islands of Vanuatu, New Caledonia and Fiji. Cruise fares begin at $1,499. The Volendam offers a 34-day Australia circumnavigation round-trip from Sydney departing Oct. 20. The cruise will visit more than 20 ports as well as scenic cruising in the remote Ribbon Reef, Far North Regions and the Great Barrier Reef. Cruise fares begin at $4,999 per person. 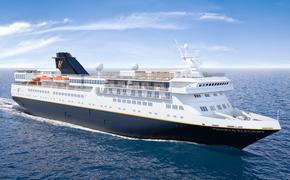 The Volendam also will operate a 19-day voyage from Melbourne to Singapore departing Nov. 20. This cruise includes two days of scenic cruising in the Great Barrier Reef with stops at Sydney, Burnie, Hamilton Island, Cairns and Darwin, Australia; and Komodo Island, Bali and Semarang, Indonesia. Cruise fares begin at $2,299.